I clearly don't understand this vacationing thing very well, do I? ...that's a lot of pages. So I had like 5 days off so I could relax, do some sewing, catch up on house stuff. And what do I end up doing? 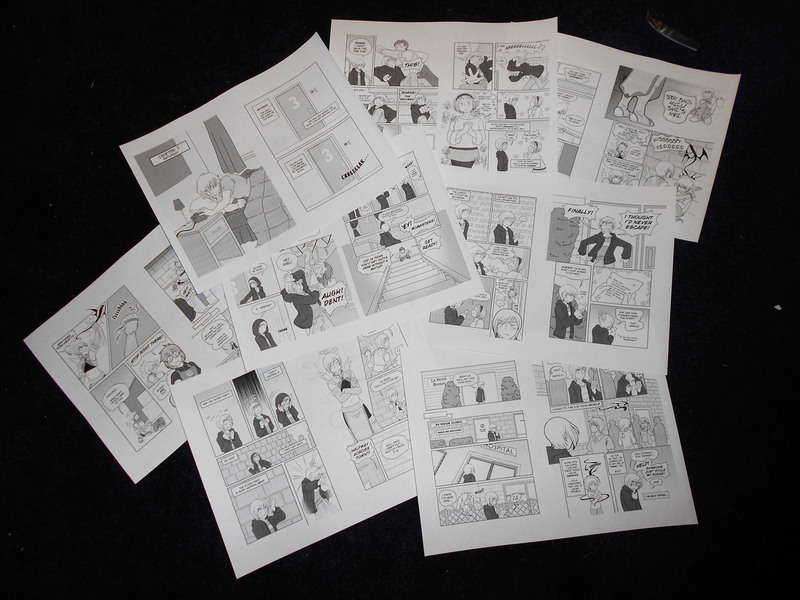 SPENDING 4 DAYS MAKING A COMIC FOR PRINTING. But I'm super excited. I'll hear asap from the printing company if my files are to their technical specifications (which I hope they are cause I researched the CRAP out of them), and if it's all good, I'll have them in my little hands by the thursday before Shuto Con (I'm tryin' to save a little on money here). I'm not sure where/if I want to put it up online just yet. 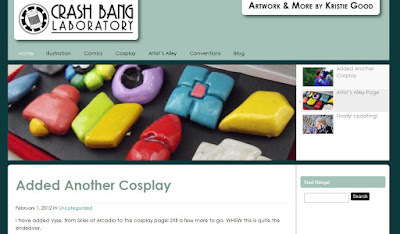 I've already got 2 websites, I may be able to put a Tangerine Wings subsite in Crash Bang Though. We'll see. 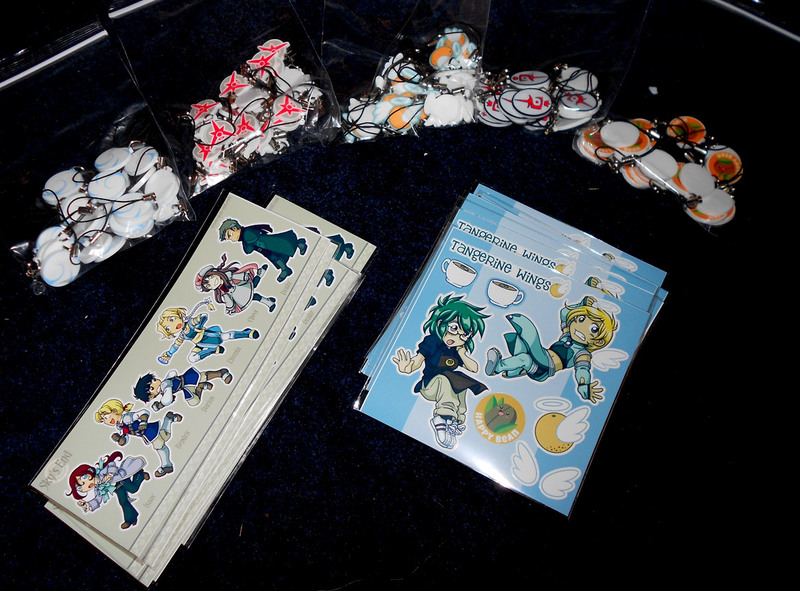 Also - in other news, my charms and stickers arrived the other day (while I was on vacation thankfully! I had to sign for them). STUFF! And it's MY CHARACTERS! In the meanwhile. I'm going to bed. And I'm sleeping, and I'm using my last day to start doing that pesky sewing I had claimed I was going to do before I went on vacation. Wait. I can't bring a sewing machine here! Woah. Long time no post (again!) - I've been super busy over at Crash Bang Labs getting a bunch of things prepared for printing, so naturally that has taken precedent over ALL other things (like blogging). However, I have prepared to let myself "wind down" as it is - it's been a terribly busy and stressful month and a half of prepwork - and I am taking a vacation! Okay, it's actually more of a "staycation" where I sit around and do art and sewing cause I LIKE TO. Either way it will be a good way for me to have a resting time/outlet. Chances are likely I'll start posting all sorts of things cause I'll be going CRAZY, but hey, that's good, cause then you get stuff to read. And pictures of what I'm working on. Finally have a finished Unova set ready! Well, before I put them in the decorative boxes (that I will be ordering now). Would you believe these are nigh impossible to get a good picture of?? I'll have a lovely picture of the full boxed set once it's done. 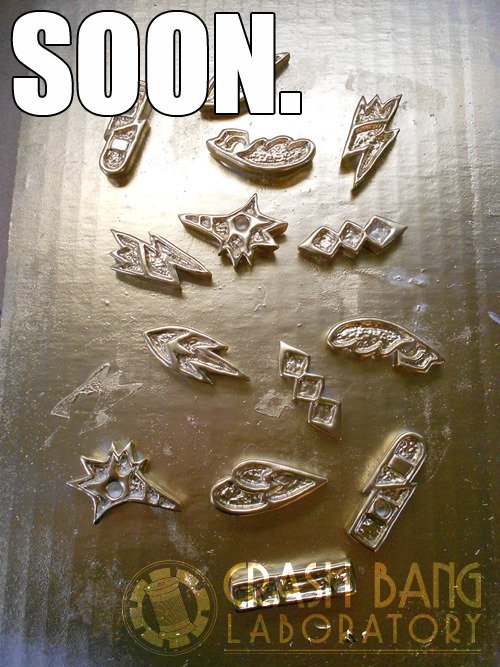 I'm entering the final 1.5 months until Shuto Con (well, okay more like a monthish now), and I'm finally getting all my new products underway. I hope to premiere the UNOVA set at this convention! I'm just having a little difficulty getting the right colors in the resin wells. Almost have a set ready to display though! Check back soon. Soon totally means like "Two weeks from now"
I've somehow magically found my muse. I have two comic pages of the other comic to do (which I should be able to finish in the next couple of days), and I've been drawing like MAD on the side. And luckily my hand hasn't given out too much. Thank you magic tablet! THANK YOU. 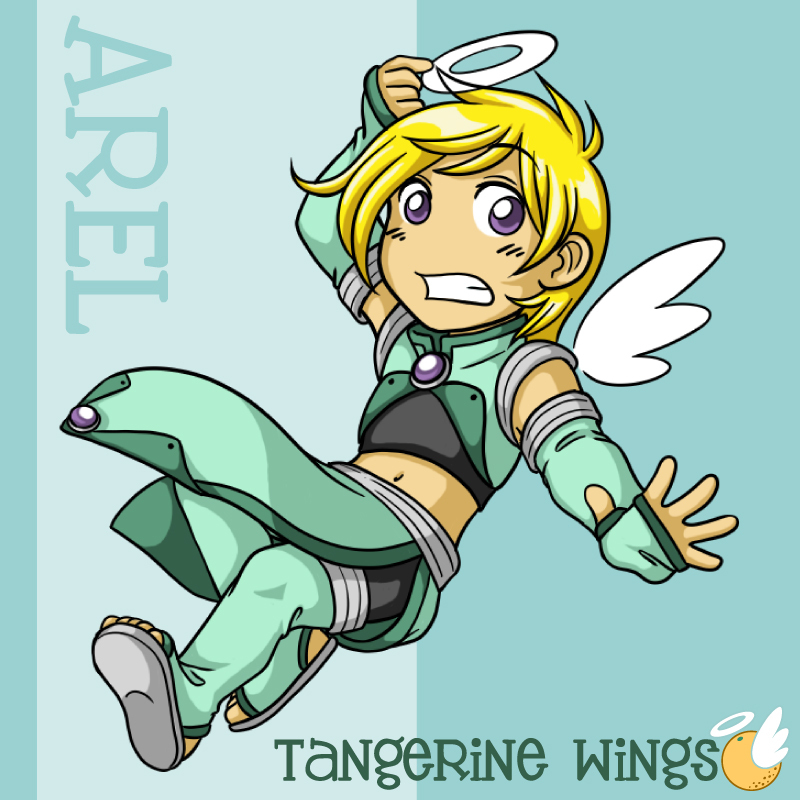 If I can crank out enough pages, I will totally have the first issue of TANGERINE WINGS to premiere too. I'm working on Sky's Pages as well. Working 40 hrs a week until 6 pm each day really eats into my weekly time. :( There are days I wish I didn't have to eat or sleep, cause I'd get a lot more drawing done. What? Sky's End Stuff? NEVER. I'm making some basic charms and stickers to test out a new company I've found to get stuff printed. If it goes well, I'll make more things for them! 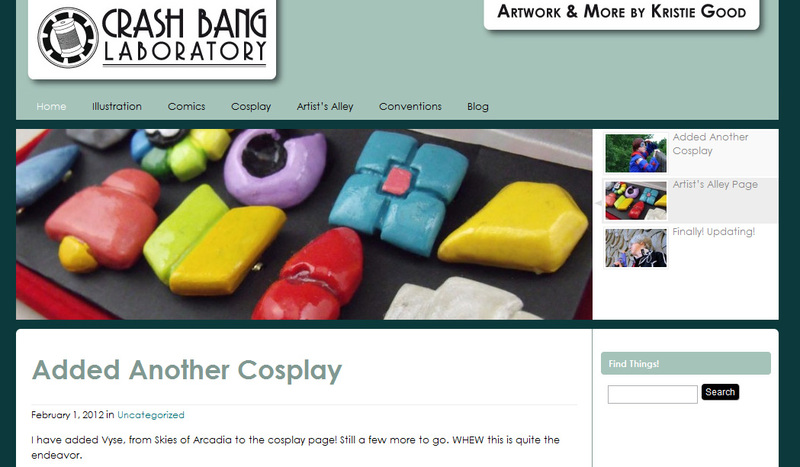 I've slowly been posting things to the Crash Bang Labs website finally! I've got a little area for cosplay, artist's alley and illustrations (and a few other things). I'm carefully rooting through all my old pics and finally getting some of them up there. Larger resolution ones will be on the Facebook page, as always. I've been getting a few questions here and there on what I will be doing! Since I've only JUST started filling in my real website with actual information it might be smart of me to just list em here. These are just the ones I know for sure (as in, badges purchased, tables ready, hotel rooms booked). Just got my Gen Con Indy room booked today! Yay for housing system fiascos (hasn't been too bad the past couple of years). Sorry for the short post! I have some fun stuff coming up I want to advertise. It's just going to require me utterly destroying my hand (but for a good cause!). I have two weeks to get a project done I've had in the works for a while. WISH ME LUCK. 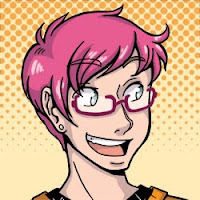 Labels: ACEN, Conventions, GenCon, Shuto Con, Where am I going to be? I tend to make all my costumes from scratch. So the concept of "Closet Cosplay" is very unfamiliar to me, really. 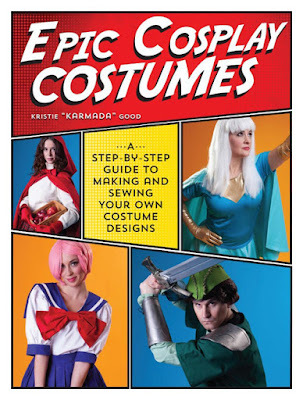 For those unknowing, "Closet Cosplay" is when you make a costume based on stuff that's already premade - either found in your closets, or the more usual of the choices: your local goodwill store. 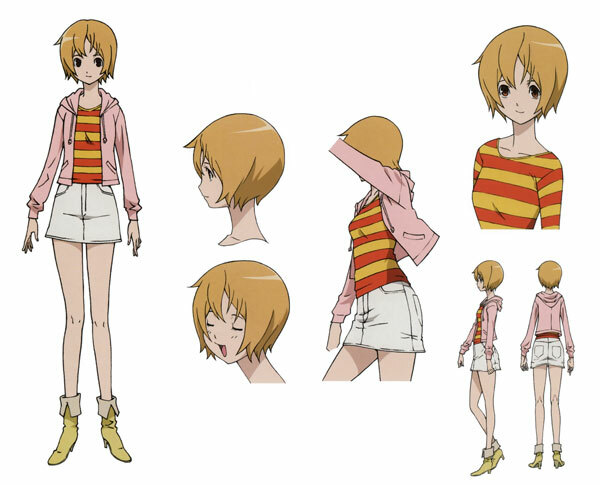 A character that I've wanted to make for a little while now is Wako from the show Star Driver. See her sheet below! 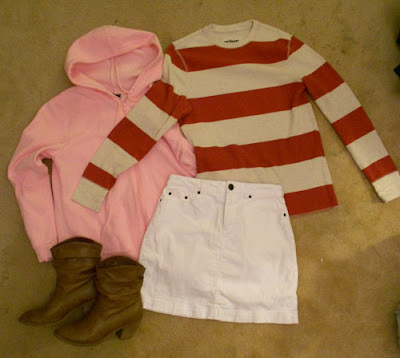 (I refuse to make the school uniform). As you can see, she kind of wears normal clothing. 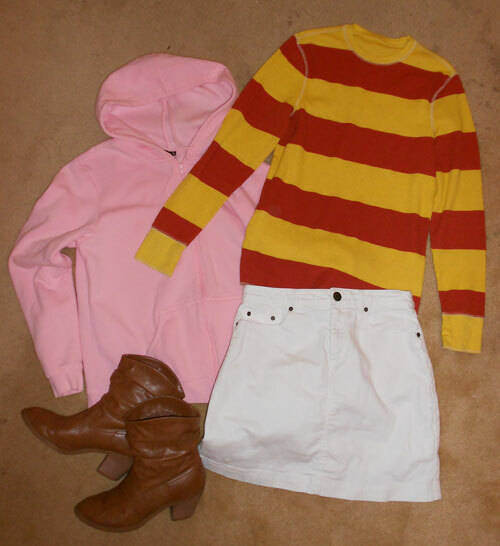 So I thought I'd try it out and see if I could compile a costume out of stuff I've found. It's taken me a few months, but I finally came across the final piece of my costume! That pesky striped shirt! Naturally, the costume is still underway. I want to hem up the skirt a little bit, it's a little longer than I need, and obviously the shirt isn't exactly yellow striped (it's also a guy's shirt, so I need to take it in a little bit, and shorten the sleeves). 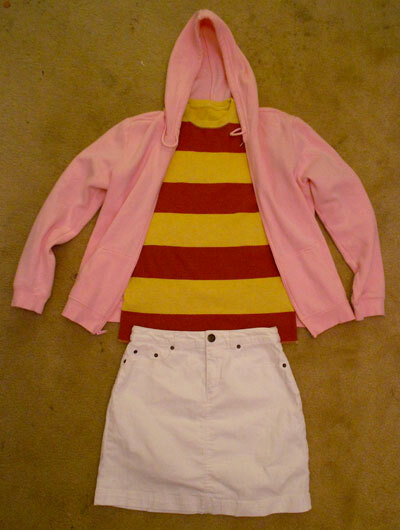 I plan on dying the shirt yellow to give it the bright yellow stripes it requires. I'll keep you all posted on it's progress! So I got all excited and did the dying on the shirt tonight. I just used plain old RIT dye, following the directions on the bottle. A little bit of hot water, some salt, an hour or so of stirring (thanks Cartoon Network for entertaining me during that), then rinsing, and finally putting it through the wash.
For those not keeping score, I dyed the shirt yellow. The shirt came out SO AMAZING. I managed to somehow accidentally find the PERFECT striped shirt. The yellow made that orangey red, all that more matching to the image. Pardon my imperfect carpet. The costume practically made itself! I can't say I'd want to do this for ALL my costumes, but for the real clothes based one, MAN this makes things a lot easier.